With a carrying load of 0.5 ton, T-KING ZB1023ADB7S Light Truck (Diesel Engine) has a fashionable and novel shape, an attractive appearance, and an upholstery design of limousines. It is comfortable to drive and ride. Both its body structure and chassis have been technically upgraded, so it is safe and reliable. 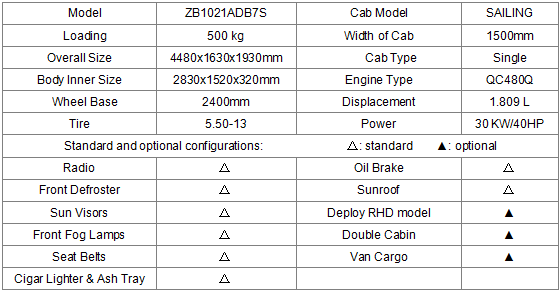 With a wheel base of 2400mm, T-KING ZB1023ADB7S Light Truck (Diesel Engine) has a single cabin. 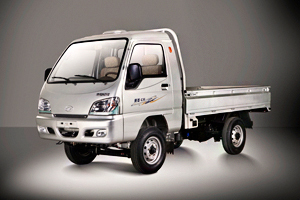 However, customers can choose to install a double cabin or choose a van-type truck.